The French town of Châteauneuf-du-Pape is best-known for its superlative red wine, but it sounds like the locals might have been enjoying the fruits of their labours a little too much. 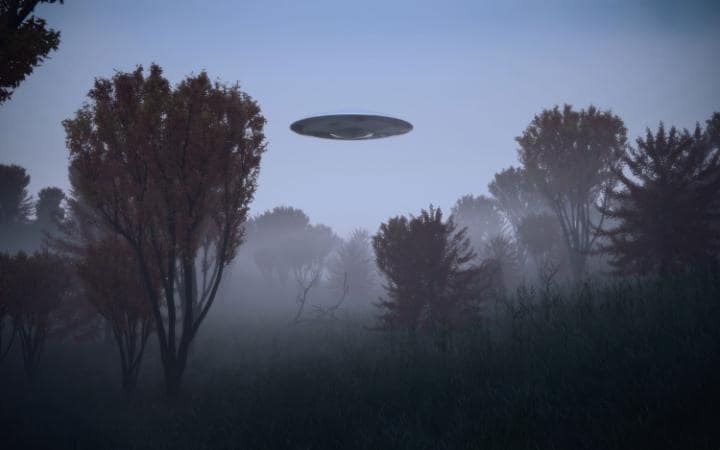 For the last 62 years, a law has prohibited the “flying over, landing, or taking off of flying saucers” in the area – and the mayor of the town has refused to overturn it. No police officers in his constituency have ever had to arrest any aliens, but that doesn’t mean that current mayor Claude Avril will drop the law any time soon. But don’t make yourself a tin foil hat yet. Lucien Jeune’s son, Elie Jeune, has dismissed his father’s decree as a “publicity stunt”, telling reporters: “At that time, people were talking a lot about extraterrestrials and the unknown, it was in fashion, and there were loads of stories circulating. “He wanted to make a bit of an advertisement for Châteauneuf. It was an excellent publicity stunt… and free.” Journalists flocked to Châteauneuf-du-Pape from all over the world and, predictably, the public couldn’t get enough of the story. History, as ever, is repeating itself.